Corruption has become a menace in today’s world it has plagued the whole world countries.Man’s Avarice never ends the more he gets, the more he is hungry. As the countries face political turmoils and instability and lead to poverty and the people in these difficult times also get the corrupt leadership and adds fuel to the fire increasing their poverty and plight. 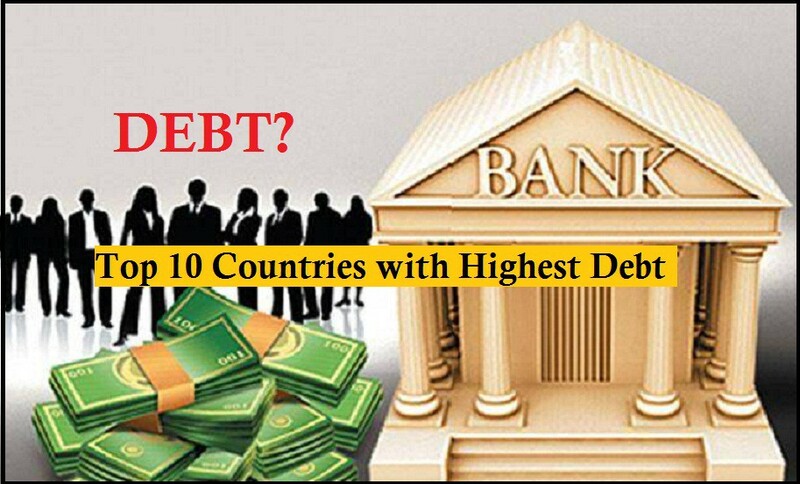 In this list of top ten most corrupt states of the world, we will see those who are mostly unstable and poor nations. Every year the surveys around the world are conducted to measure the global corruption index around the world.The countries with the bitter level of corruption are facing worst kind of poverty, political instability, economic downfall, and social corruption.When the country is found in such difficult situations, corrupt leaders lead them astray and take benefit of their innocence and do money or other embezzlement. Corruption thus does not only means the fetching of and taking others money illegally, but it also means the carelessness in a discharge of one’s duties. Here is the list of top ten countries that are most corruption-ridden in the world. It is a very infamous country of which only a few people might have heard. It shares its border with Sudan and is small and poor country.The GDP of Eritrea is very less about $4 billion only. The faulted labor laws and foreign business policies are infested with corruption by the leaders to remain in power.The president office in Eritrea is suppressive and much bounded to political pressures. The cabinet is full of corrupt leaders and advisors with little political experience their main aim is just to fill their stomachs thus snatching out of small Eritrea’s economy. Freedom is a term for which the citizens of Libya re craving; they are not at liberty in their country where business, properties, economy and labor all are dictated by one.Libya is an African country constantly facing political turmoil and unrest throughout the years. The country’s leadership is extremely selfish caring little for people’s interest.The country and people are not satisfied, and there is continued uprising and demonstrations going on in the country against government’s repressive policies and programs and the everyday corruption practices. This little central Asian state is filled with corruption. The country is lead by the permanent leadership since 1980 and has been given the lifelong presidency. Cotton is the main source of earning foreign exchange but still the country’s huge cotton production are of no use due to infecting high corruption scores.The agricultural yields are enjoyed by the few, and they did not have the people living system.Foreign investment has declined due to countries corruption numerical. This country is also a central Asian country and is also deeply dumped in the pool of corruption. It is the world’s seventh most corrupt nation and has faced many turmoils in the past due to sharing borders with countries are Afghanistan and Uzbekistan. The.The government is lead by a dictator Gurbanguly Berdimuhamadev, who has been very corrupt as compared to middle eastern competitor countries.The most countries wealth has seeped into corrupt hands and prevented all incentives for foreign investments. Iraq is the sixth most corrupt country in the world and is the ground of the instability and political chaos from many years, along with the demonstrations, foreign invasions and lack of skilled governmental machinery. Bloodshed and killings are the scenes of every day. There is unemployment every governmental department is filled with corrupt officials and staff.Many countries are trying to pull Iraq out of the war like situation, but it is proving a slippery slope for them as well. South Sudan has got its independence in 2011 from the bigger Sudan.And it is not new for the new born country to be indulged in this kind of unstable turmoils and circumstances.It will take a long time for South Sudan to stand stability on its feet.The leaders are immature and corrupt along with the lack of expertise in a governmental scenario they also have the lack of nationalism and patriotism for the rest of nation and are indulge in complete corruption making the country linger helplessly. Another country on the its is the Afghanistan that we no doubt expect to see on the list.The country is no doubt the one of the most corrupt and unstable since years. A country of the tribal is full of unrest and chases throughout years. The economic and structural development is very rare the corruption practices hand make the country numb and has led it to be much backward than other nations.that we would expect to see on the list, Afghanistan ranks at number four regarding corruption. It is obvious that Sudan is ranked at number three. The.The violence, chaos, uprisings and riots have caused country a great damage. Along with that incompetent leadership and unstable situations has made it at number third corrupt country in the world.This corruption and ambiguity have splinted the country into factions.Foreign business is not there ;the country does not invest internationally nor let others invest, and the leaders eat up what they get pushing the country to poverty and unrest. North Korea is suffering from the corruption with its highest magnitude.The country is militarily very desperate but on another hand, its people are suffering. The economy has a black hole things get sucked, and nobody knows where they have gone.The country is corruption ridden, and the people’s plight is difficult to witness. First in the corruption list is the Somalia.Somalia has a nominal government having no rule of law.It is a kind of banana republic with the unrest and hooliganism.The people survive on fishing.Kidnapping is common practice.Somalian pirates are famous throughout world kidnapping and hijacking the ships of other countries and getting ransom in return.It’s internal collapsing structure, and weak central control is very weak to expect any positive change in future.